isn’t that what they had to do to get rid of the last god they fought on earth? Try watching it without the meth. And there’s something just crushingly sad about such a laborious homage to a meme that probably took two minutes to shoop –and the shoop is still funnier. 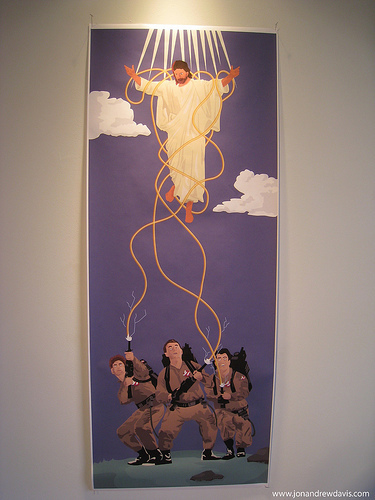 And AGAIN they cross the streams…! JC was not a ghost dagnabbit… Oh, wait. Neither was Zuul. I just want to see this made as stained glass.